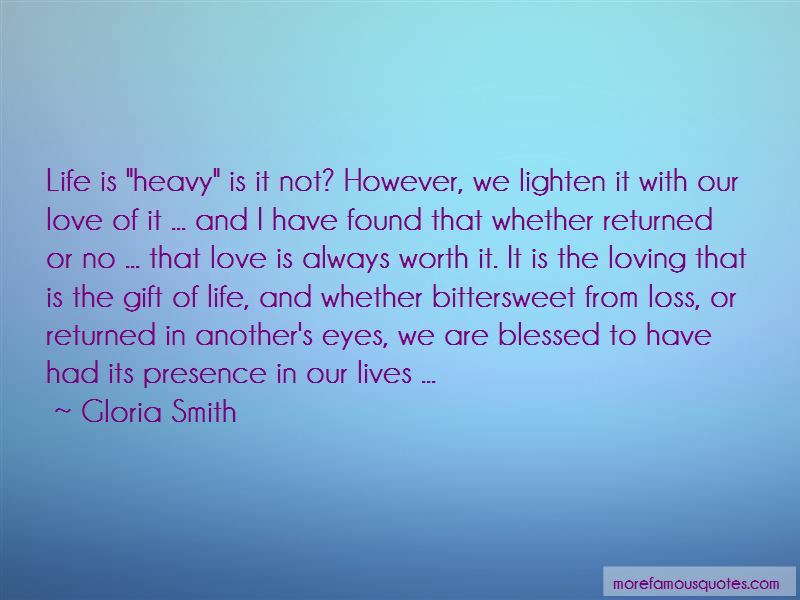 Enjoy the top 9 famous quotes, sayings and quotations by Gloria Smith. 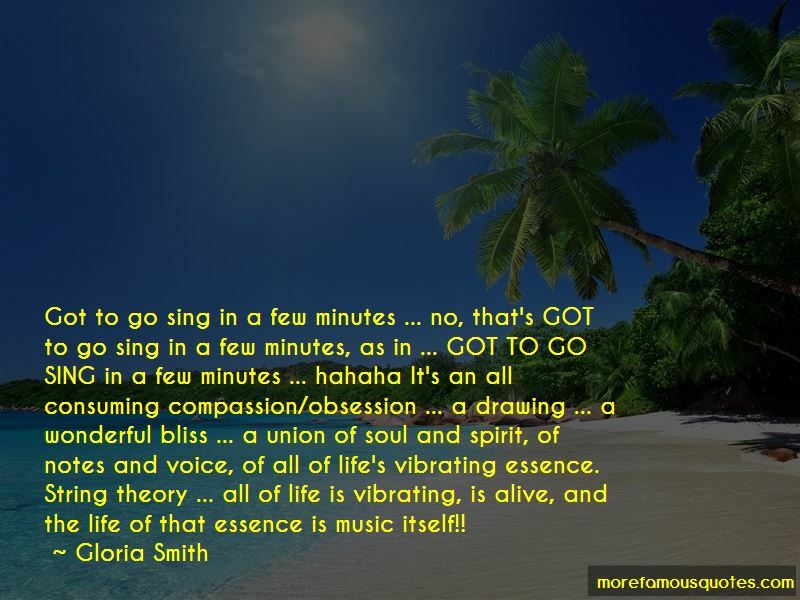 Got to go sing in a few minutes ... no, that's GOT to go sing in a few minutes, as in ... GOT TO GO SING in a few minutes ... hahaha It's an all consuming compassion/obsession ... a drawing ... a wonderful bliss ... a union of soul and spirit, of notes and voice, of all of life's vibrating essence. String theory ... all of life is vibrating, is alive, and the life of that essence is music itself!! 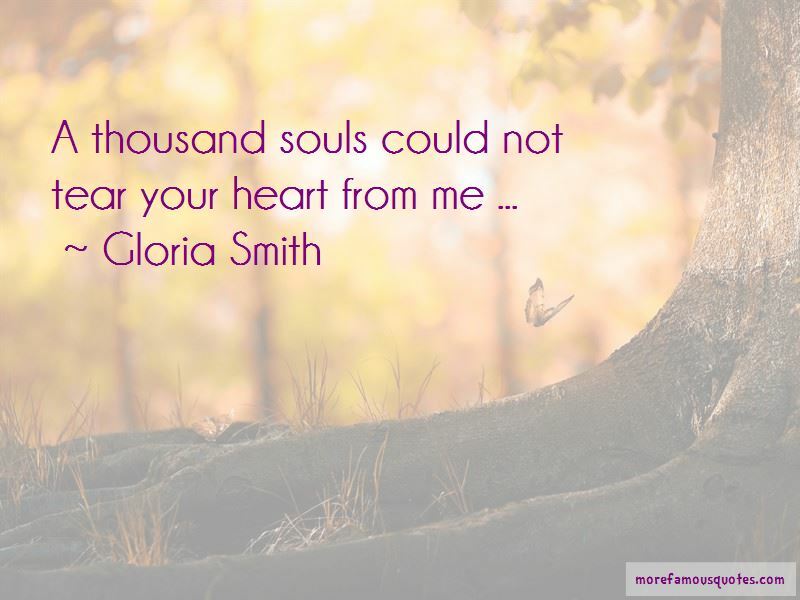 Want to see more pictures of Gloria Smith quotes? Click on image of Gloria Smith quotes to view full size.